The Jim Corbett national park, pride of India and one of the first protected Tiger Sanctuary of India. 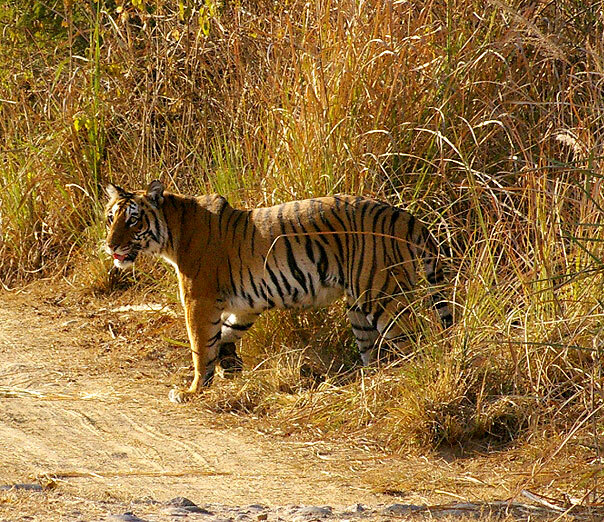 Named after the great nature lover and hunter, Jim Corbett, this vast park has about 520 sq kms of core area. Situated in the Kumaon and Nainital districts in the hilly and picturesque state of Uttaranchal, this was the place where the project Tiger was first launched in 1973. Jim Corbett, a British who was born and brought up in the hills of Kumaon, mingled with the locales of the area unlike other British. Jim Corbett grew up to become an army personnel to support his family and later was summoned of and on by the local villagers to kill the man eating tigers and leopards in the area. Accustomed with the jungles and the animals, Jim Corbett became an expert of the Jungles. He used all his senses in the jungles that helped him understand the movements of the animals of the jungles. But although a perfect hunter, Jim Corbett loved nature and preached the local folks and tribes about the importance of the conservation of forests and the animals. There was no other apt name to this first Project Tiger Wild Life sanctuary other than the Jim Corbett National Park. 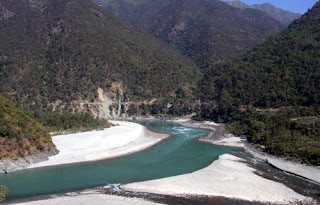 Aptly called the land of roar, trumpet and songs it is 120 kms away from Nainital set on the banks of the mighty Ram Ganga River. Covered by Sal trees and the grasslands and bamboo growth, the habitat is perfect for the a list of species found in this area. There are around 582 species of birds, 26 species of reptiles, 7 species of amphibians and 50 species of mammals. The floral diversity is also extremely varied. The park has a high density of tiger population which it is most famous for. The best way to view the animals in the park is to post you on the elephants or to take a jeep Safari to view the magnificent creatures in the most beautiful natural environs. Other than the tiger one can find various species of deer and herds of elephants with many species of monkeys as well. The reptiles such as the crocodile and the alligators with various types of snakes can be spotted here. One of the finest jungle resort in a Reserve Forest overlooking the Kosi River offers good angling and swimming. The resort offers fully furnished wood-paneled stone cottages in a leafy mango orchard, attached baths, multi-cuisine restaurant, cocktail lounge and beautiful gardens. 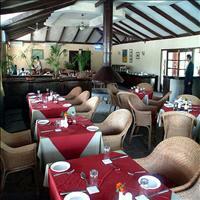 Manu Maharani Resorts is a great weekend destination. 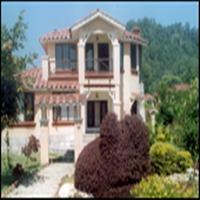 The resort is 9 Kms away from the main town, Ramnagar, towards the park. The Resort has 50 well appointed cottages with all modern amenities in clusters of two/three rooms and is a perfect blend of luxury and wilderness. The sound of flowing water of river Kosi gives a soothing and tranquil feeling to the in house guests. Corbett River View is a charming retreat that’s big on style. A resort full of fresh innovative design ideas those are simple, yet truly stylish, which give you freedom to relax and leave the world behind at the front door. The resort spread over an area of 8 acres, is located on the fringes of the Corbett Park and on the banks of the River Kosi, providing an exotic scenic view. Tiger camp is situated in the lush green Kosi Valley, on the Eastern border of the Corbett National Park. Delhi is 260 KMS via Moradabad, Kashipur and Ramnagar 6 KMS.From Amdanda Gate (Entrance to Corbett Park).Exclusive, independent A/C and Air-Cool cottages with attached toilets and bathrooms. For those looking for the great outdoors feeling there are puffy tents, offer you an authentic Kumaoni experience with the modern day comforts that one has come to expect. The Solluna Resort is nestled within the protected reserve forest of the Park. The Resort is operational, and in the midst of being refurbished. Post upgradation, the Resort would be rebranded ‘Solluna Sarovar Premier’.